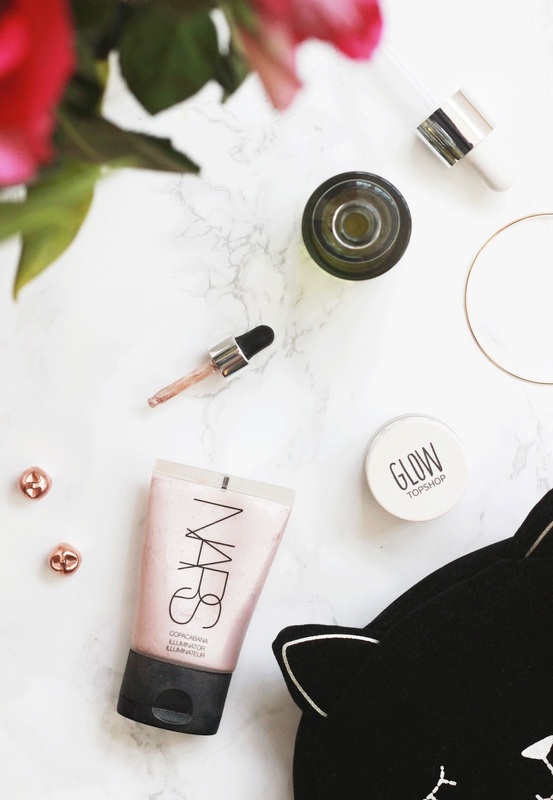 Highlighters, oils and glow inducing primers have all helped to add a healthy sheen to my usually lacklustre complexion and they have transformed the way I apply my makeup, so I will no doubt be taking this technique into Spring with me. Today I am sharing with you my top dewy products that look perfect underneath your makeup. I think the Cover FX Moonlight Custom Enhancer Drops was the first highlighter I tried underneath my base and it completely converted me. I like to use this mixed in with my foundation or with my primer to give off a dreamy lit-from-within effect. It's important to remember that a little goes a long way, so you only need a few drops to get the desired look. The Nars Copacabana Illuminator has a similar effect as although they both look perfect on top of your makeup, they create a dewy look underneath your makeup in no time at all. Oils in general are a makeup must have for me as they not only add a boost of hydration to my dehydrated complexion in the morning, they come with a range of skin loving benefits and help to add a dewy, radiance look. My two favourites have got to be the Aesop Fabulous Face Oil, a top pick for anyone suffering with blemishes and the Caudalie VineActiv Detox Oil*, a great option if your skin needs more nourishment. Next up is the Nars Radiance Primer, a smoothing, yet glow-boosting base that perks up lacklustre skin in an instant. Although I do use this all over if needs be, I like to concentrate on applying it on my forehead, underneath my eyes and on to my cheeks to specifically add a brightening affect to those areas - perfect if you're into a touch of light contouring. Have you used any glow inducing products underneath your foundation?